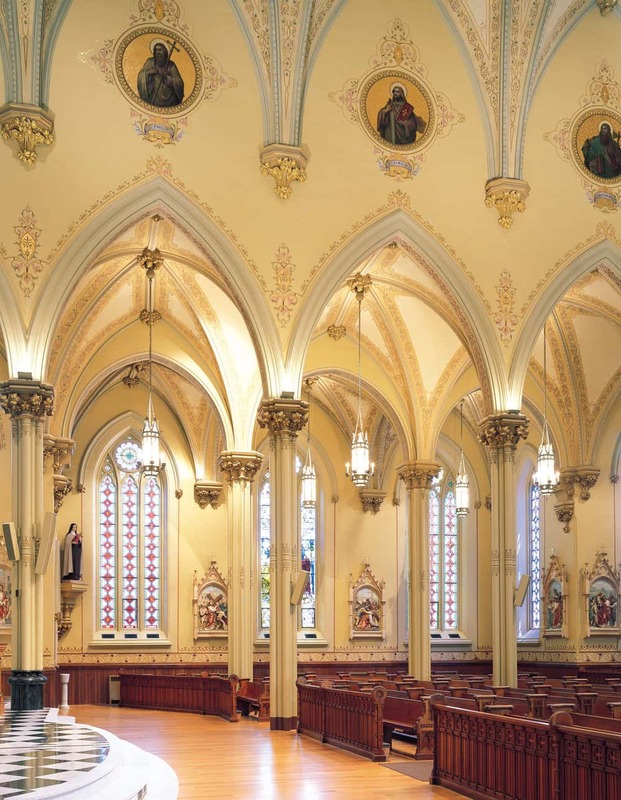 Our Lady Help of Christians Restoration | John Canning & Co.
Canning Co. restored the delicate color palette and design scheme revealed by our historic paint study and scientific analysis is typical of churches dedicated to Marian worship. Our paint study revealed original decoration schemes and colors which we reinstated. 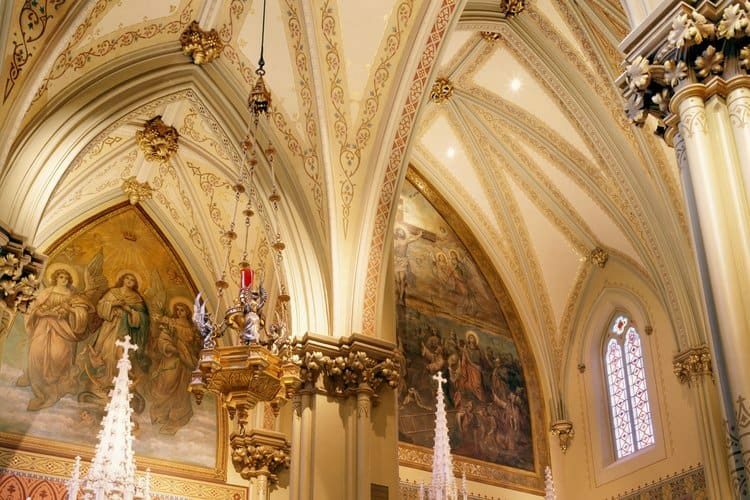 Fine art murals were cleaned and conserved as were statues and other decorative elements throughout the church.